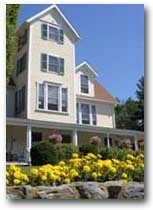 Bed and Breakfasts in the Lake Winnipesaukee area of New Hampshire will offer you wonderful enjoyment on your weekend or vacation getaway. Most of them have spectacular views and are close to all the activities in the NH lakes region. What I like best about these accommodations is that they feel cozy and comfortable with less stress. Many of them are located on or very near the water. Others are nestled in the woods for a quiet and peaceful experience. 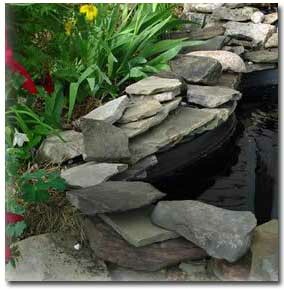 You can even find some situated in or near where many activities take place. Shaker Woods is a dream farm bed and breakfast nestled in the woods. A great place to enjoy the New Hampshire, Lake Winnipesaukee region's beauty and charm. Enjoy the sites and sounds of Wolfeboro, New Hampshire on Lake Winnipesaukee during the day and peaceful quietness at night. The trolley will take you to the downtown area, so there is no need to drive. 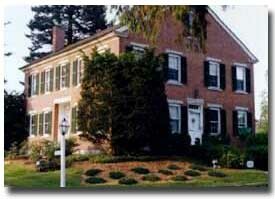 The Afton Inn is a historic farmhouse that offers a relaxing atmosphere. Alicia's is a small country home not far from downtown Wolfeboro where you can enjoy many lakeside activities. 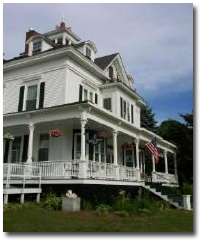 A charming bed and breakfast overlooking Newfound Lake and Cardigan Mountain. Located between the lakes region and the White Mountains of New Hampshire with close proximity to hiking, swimming, skiing, snowmobiling and much more. 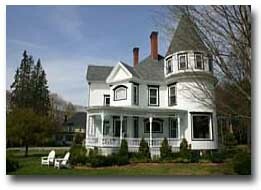 This is a warm and elegant Victorian home overlooking the Winnipesaukee River. Located in the lakes region of New Hampshire with just a short drive to several different lakes, shopping, dining and more. 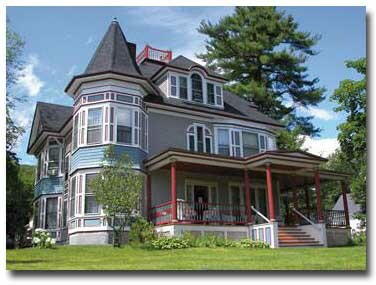 This beautiful Victorian home built in 1895 offers the vacationer a relaxing stay between the lakes region and the White Mountains of New Hampshire. There are many area attractions a short distance away. Ferry Point House sits proudly on Lake Winnisquam and makes a great summer retreat. This is the perfect place to take that romantic vacation getaway you've been thinking about. Relax and enjoy the surroundings. You'll want to come back. 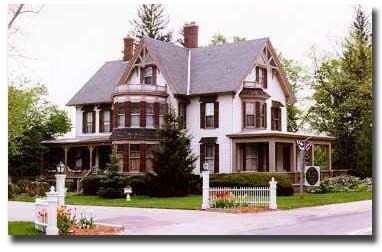 The Henry Whipple House is a beautiful, Victorian home built in 1904. You'll find gorgeous woodwork, windows and many antiques throughout the home. Hiking, boating, swimming, golf and more are in close proximity to enjoy your New Hampshire vacation getaway. A beautiful Victorian inn offering wonderful water activities, nearby hiking, spectacular views and a wonderful vacation time on Lake Winnipesaukee in New Hampshire. 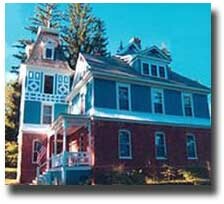 This is a charming bed and breakfast located between the lakes region and the White Mountains of New Hampshire. You'll find this an ideal location for hiking, skiing, boating and more. This is a wonderful place for a getaway in the Lake Winnipesaukee area of New Hampshire. The historic inn has three working lighthouses that add a warm glow to the place. Located in the heart of the lakes region, the Maria Atwood Inn is conveniently located to many area activities and attractions. Enjoy boating, swimming, skiing, snowmobiling, shopping and more. 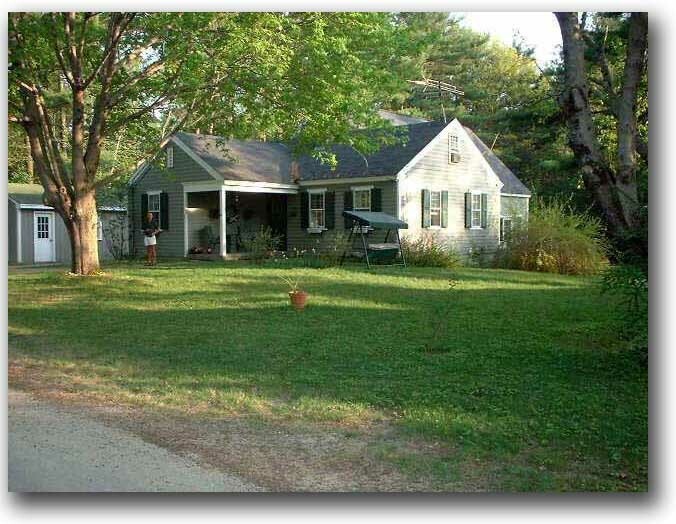 You will enjoy the charm and elegance of this beautiful home in historic Meredith, New Hampshire. It is close to many activities that happen around Lake Winnipesaukee. This charming bed and breakfast provides a relaxing place to stay. It overlooks the center of Meredith, New Hampshire and is a short walk to Lake Winnipesaukee and the shops in this quaint village. The perfect place to enjoy a quiet vacation getaway. 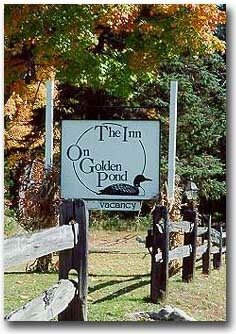 Olde Orchard Inn is nestled in the woods, yet close enough to Lake Winnipesaukee to enjoy all the activities. The Squam Lake Inn is a hundred-year-old Victorian farmhouse just a short walk from Squam Lake. Enjoy the perfect vacation getaway with visits to the Science Center, boat tours, shops, dining and more. The Sutton House overlooks the quiet town of Center Harbor, New Hampshire on Lake Winnipesaukee. This is the perfect location at the Oldest Summer Resort In America. Topsides is located a short distance from the town docks where you can enjoy boating, shopping, dining and more. 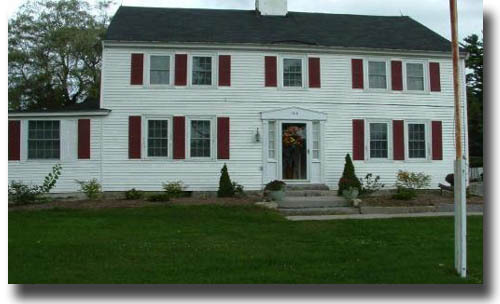 Lake Placid Bed and Breakfasts - Quality bed and breakfasts in the Lake Placid resort region of New York State.